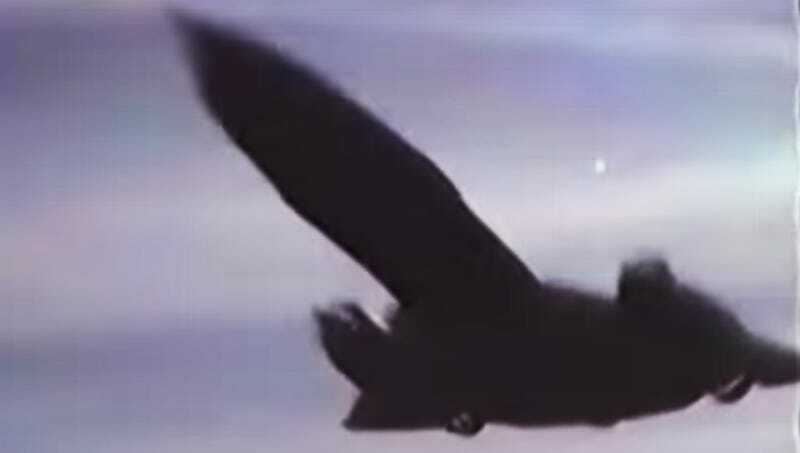 Take an SR-71 Blackbird, load it to the brim with fuel and sensors and hand it to the most experienced Blackbird pilot of all time, BC Thomas, with over 1200 hours in the jet, and this is what you get. According to BC’s notes, the Blackbird was traveling at over 400 kts (about 460 mph) by the time he pitched the nose up into that glorious climb. Today, the SR-71 shown, tail #972, sits as a centerpiece display in The Smithsonian Air & Space Museum Udvar-Hazy Center at Dulles International Airport. You may have also seen it as one of the stars of Transformers II, as the jet stood in for “Jetfire” as he lay dormant in his “undercover” mode. Just as an added note to Foxtrot Alpha readers, Lieutenant Colonel BC Thomas has been kind enough to grant us a in-depth interview. So stay tuned for what should be the ultimate inside scoop on the Blackbird and some incredible stories from the man who flew it the most and a lot of other amazing aircraft as well. Credits according to Youtube: SR-71 pilot: B C Thomas, RSO: J T Vida; T-38 crew: Tom Tilden, Phil Soucy, October 1987, photographed by Mike Relja. SR-71 photo taken in the Udvar Hazy center via the Smithsonian.